One of the more whimsical little aspects of life at Apple’s headquarters in Cupertino gets a nod in the company’s latest ad campaign: Apple’s patented circular pizza box. While it’s a relatively unknown thing for most people who don’t actually work at Apple, the company actually patented a circular pizza box several years ago for use at its Caffè Macs — the on-campus cafeterias at its Apple Park Headquarters. The unique pizza box came to light back in 2017 when Apple’s new campus was being featured, but appears to have been in use for a few years prior to that. The box itself is simply a circular-shaped box, designed to allow employees to take personal-sized pizzas back to their desks without the crust getting soggy. 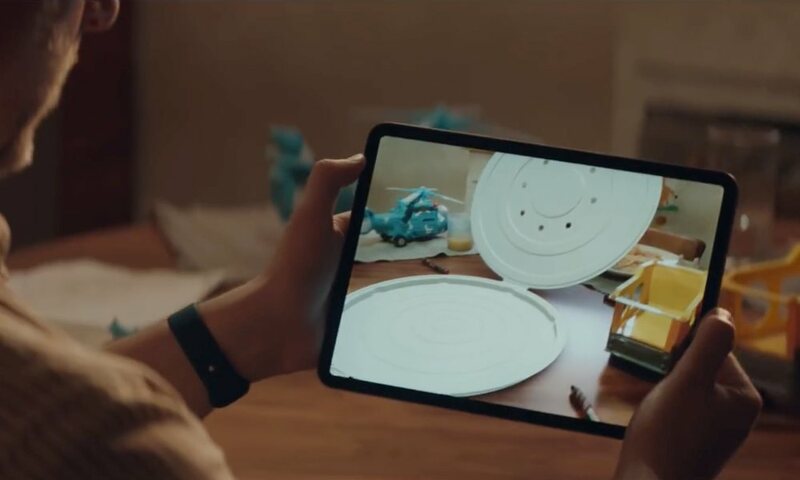 This week, Apple has released a new featured ad showing how Apple technology — from the Mac and iPad right down to the Apple Watch and Siri — can be used to help a team collaborate, and at the center of their collaboration — the project they’re trying to sell a senior executive on — is the circular pizza box. The ad, which is titled The Underdogs, is part of Apple’s Apple at Work campaign, and is featured as the new lead-in on a page that provides some more serious real-world examples of how Apple’s products and services are helping to empower major enterprises such as British Airways and Capital One. The video itself is one of the more entertaining and playful Apple ads we’ve seen in a while, and follows a team of slightly offbeat B-list employees as they “accidentally” get a meeting with a high-power senior executive (think Meryl Streep in The Devil Wears Prada) after she bumps into one of them while driving what we almost expected to be an Apple Car. With only two days to a big meeting, the team ends up doubling-down on Apple technology, using Macs at work, iPad Pros and Apple Pencils on the go and at home, having meetings via FaceTime, waking up to alarms on their iPhones, interacting with Siri to set “Do Not Disturb” and send messages to colleagues via the Apple Watch, transferring files via AirDrop, and even featuring a slightly odd cameo of Microsoft Excel running on an iPad Pro. 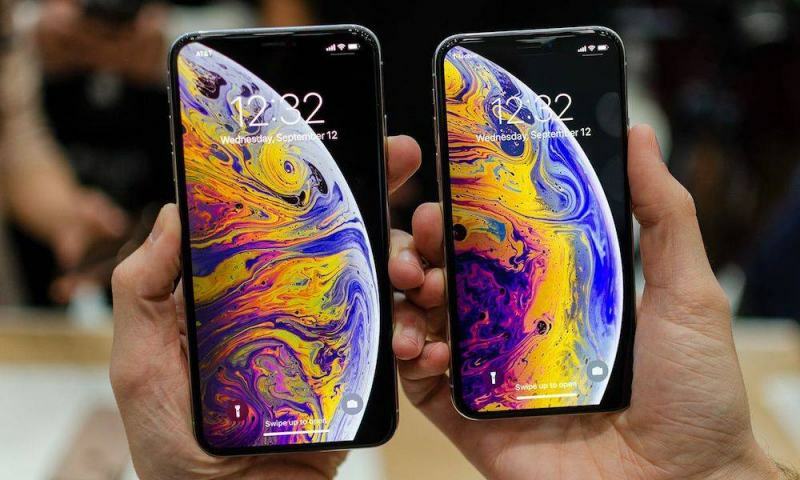 Apple technology is widely shown, but in a number of fast and non-specific ways; the intent here is clearly to highlight how the technology is just a seamless part of the team’s lives. Macs and iPad Pros are also showing being used in harmony, tacitly acknowledging that Apple still of course knows there’s a role for both devices in the workplace. 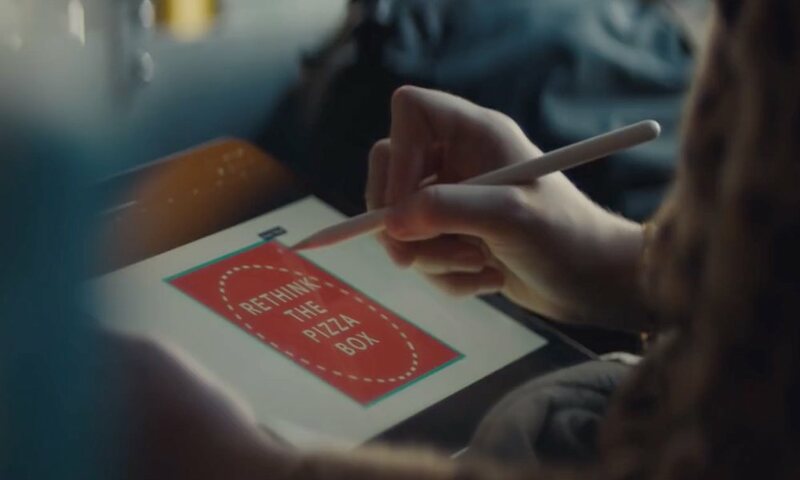 Of course, even the iPad was barely out of the gate when Apple’s actual pizza box was invented, much less the Apple Watch and iPad Pro, so the story shouldn’t be taken as a serious representation of how the now-legendary pizza box came to be, but it’s still a fun way to spin an ad about using Apple technology to design and promote new ideas, and a cute wink to a part of Apple’s internal culture.